Roaming free as a Velociraptor may once again reignite the wonder Spielberg delivered in the first Jurassic Park. There’s been an interesting debate going on over the release of Colin Trevorrow’s new Jurassic World film. While the consensus seems to be split down the middle, one thing the new film has brought to light is the sort of wonder and excitement that Spielberg’s original picture conjured. There was a certain unpredictability in the fact that when those characters in the film are staring in awe at that brontosaurus for the first time as the music swells, you’re feeling the exact same thing as an audience member. Now, as accomplished as the dinosaurs can look, and as amazing as any story they turn out will be, we’ve become numb to the spectacle. We see just as impressive dragons every week on HBO. So for that reason alone—and largely because Spielberg did it first—the film remains in a perfect bubble of experience that will never be broken. Video games love dinosaurs. That’s no surprise, just ask Turok. There have been a number of titles that capitalized on our obsession with these cold-blooded beasts, and nearly a dozen titles inspired from the Jurassic Park series alone. But in the same way increasing CGI capabilities didn’t lead to better films, the advent of graphics and technology in gaming hasn’t made much of a difference in producing a worthwhile experience. As allegedly “good” as any Jurassic Park game may be, they too fail to inspire the same awe that the original film instilled in us. It’s not impossible though. In fact, it’s been done. And if you were an avid Sega Genesis gamer during 1993 and ’94, you might have even played a piece of this magic. 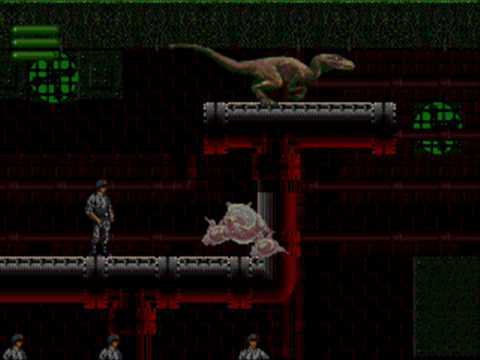 Many games were released under the obvious title of Jurassic Park, but only the Sega Genesis (and its 1994 sequel, Jurassic Park: Rampage Edition) really opened up the series’ DNA and began mucking around. The game’s real innovation: you get to play as a motherfucking raptor! Why bury the lede any further? For whatever reason, the developers behind these dino games never realized that playing as the dinosaur – thus controlling the villain – could be just as thrilling, if not more so, than trying to survive them. The Genesis take on the classic film allows you to either play as Dr. Grant (who, albeit, is the default selection) or a velociraptor. This wholly unique gameplay experience that sees you leaping, slashing, and feasting as opposed to wielding a rifle and being on the offensive, was not only revolutionary for the time, but still is. The magic of playing through a Jurassic Park game as one of the inhabitants wasn’t exactly as momentous as seeing those so-perfect-they-must-be-real dinosaurs out of Spielberg’s film, but it gets close. It gets you looking at something tired like an action-platformer in a completely new way. I know I was certainly the envy of my SNES possessing friends because my version of the game allowed me this insane power and there’s didn’t. Who wants to play as a human (and Dr. Alan Grant, of all people) when unprecedented carnage can be at your disposal? The setup makes so much sense that it’s truly surprising there wasn’t an entire spinoff line of raptor-based games. 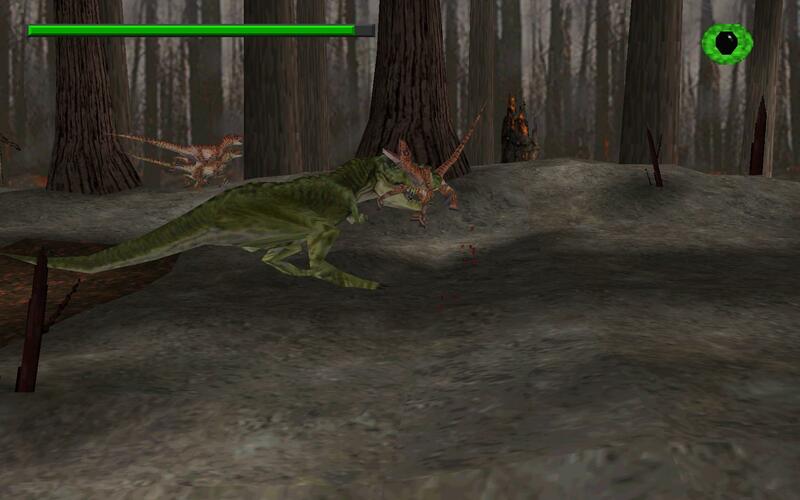 The largest extension this ended up seeing was a sole sequel in the form of Jurassic Park: Rampage Edition, which managed to capture the whimsy of playing as a dinosaur once more (while being a lesser game on the whole) and even add to the experience by implementing “Raptor Rage” Mode, which put you in the beast’s head even further. The stakes that were established here with the Genesis’ entries were followed up only once more in 1997 with the release of The Lost World: Jurassic Park for the PlayStation and Sega Saturn. This version of the game (and only this version of the game) not only allowed you to again play as a dinosaur, but as a Tyrannosaurus Rex of all things, and it’s just as staggering and powerful of a moment as you’d expect. 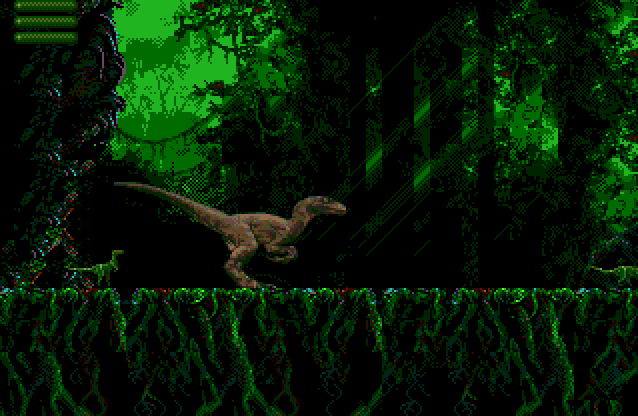 The problem here though is that while the raptor was a fundamental aspect used through the entire game in the Genesis titles, here, your gameplay is spread across five different characters (three of which are different dinosaurs, mind you), with the T-Rex (and the other dinosaurs) only being playable for a fraction of the title. It’s still a bewildering moment, and one that does emulate the energy that comes out of Spielberg’s picture, but it feels a little diluted here. A full mode – even if it was shorter – where you played exclusively as the dinosaurs or T-Rex couldn’t have been that inconceivable at the time. Making a “successful” Jurassic Park game is clearly a difficult endeavor to pull off, not just because it’s about making a good game, but because it’s about capturing the tone and mood that Spielberg worked effortlessly to achieve. Once that moment has been captured, it might not be able to be reclaimed. These limited video games have gotten us as close as possible to this feeling, and with the success that Jurassic World has seen, maybe we’ll be given more opportunities in this direction (controlling Owen’s raptors from the latest film even feels like a foregone conclusion). Here’s hoping that we’ll get to experience wonder that’s been 65 million years in the making for the “first time” once more.